Mars enters Capricorn (August 13 – September 11). The main thrust of activities will be inspired by the diligent push of Capricornian persistence, and activities will shift towards diligent, ambitious and enterprising endeavors. With Mars in Capricorn, a sense of duty is instilled. Activities, if successfully managed, will produce long lasting results. This is not a good time to create enemies; attitudes created now will produce long-lasting results, and long-standing enemies are not a good thing to have when trying to create a sense of forward moving progress. Mercury in Leo sextile Venus in Libra (August 18 – August 24) brings good news and opportunities concerning love, music and the arts. This is a good time to get the message of love across where it is needed most as well as being the time to share love messages and spread them like seeds. Love will come back to sustain the heart and this is a good time to call it to the attention of those people we treasure. First Quarter Moon in Scorpio on August 18 arouses our moods in deep and impassioned ways. Intense exchanges between people leave strong impressions. The First Quarter Moon of Scorpio brings our moods to a strange and intense level of existence. Don’t go looking for trouble or you’ll surely find it, and this brand of trouble has very intense ramifications for all those involved. Aries: Fun and finance are the two areas of involvement for you to consider this week. Fun doesn’t really need an explanation – it’s whatever you make of it, but on the financial front, funds, taxes, rentals, leases, some mergers or tie-ups may have to be considered. It’s a rare meeting of all that’s best for you and even business and professional interactions or meetings acquire a personal slant. What this really means is one or two tweaks are required in terms of being able to express your authentic self, and to do more of what you love. Taurus: Last week’s eclipse could have signaled a new chapter or brought about a turning point in your life but now is a time when you’ll get work done, call in favors, get results and see your efforts bearing fruit in terms of finding brilliant solutions to every concern that was weighing you down. This week you will have time to ease off, to actually go out and grab at life itself, have a real ball, enjoy yourself at social gatherings and parties, even splurge on new décor for your home. All in all, this is certainly a happier week than last week was. Gemini: It’s time to look out for yourself and your own ambitions. Domestic and social issues will proceed smoothly so that you can take action for your own interests and benefit. The media, trade, creative arts, even craft-related business, foreign trade, are all favored and will yield profits for you. Your third house of communication and intellectual interests – your favorite house – is very strong and your mental faculties (always good) are even stronger right now but it may be time to shift some energy and attention to your home, family and emotional concerns. Cancer: Your career planet, Mars, is both retrograde and “out of bounds” this month. This suggests that you’re in unknown, unfamiliar territory and lack confidence and direction. With the First Quarter Moon in Scorpio at the end of this week, you will be introspective, thinking of lifestyle changes, the quieter life, more placid ways and your own inner values. You realize that there must be deep-rooted and fundamental changes in your life and are both willing and keen to make them. It’s not just boredom or ennui that makes you think this way. It is a firm belief and you wish to act on it, but not right away. Leo: Family matters, house and home, and matters relating to both personal and inherited property keep you on your toes this week. You will be thinking about improving, adding on, or redecorating your premises if necessary. This will all be a part of how you wish to project your personal image, and there too you are in a search of a new look although you display energy and star quality with Mercury in your own sign. Your finances are good, even though earnings are slower than usual as Mercury, your financial planet is retrograde until early next week at which time all things financial will be on the upswing. Virgo: This week there will be a remarkable coming together of family members in your scheme of things – your brothers, sisters, and close relatives and even dear friends who mean so much to you. You will experience a fair amount of travel and expansion of the mind – learning a new skill, computer technology, higher study, research, and/or further qualifications. This will all prove to be a more or less direct result of the last week’s soul-searching. Sometimes our intellect or ego gets in the way and clouds issues for us. If something seems to be pulling you in a particular direction, even if it doesn’t make sense, follow it. You might discover that some higher power will be guiding you. Libra: You’ll be doing two things that will make life smoother right now and also augur well for the future. On the one hand, entertaining, friends, social gatherings etc. are all positive aspects; on the other hand, a revamp or overhaul of finances and career/profession should be considered. There will be risks of spending too much on business concerns in an attempt to raise your income so look at all the parameters involved before you charge (literally and physically) ahead this week. Consider what’s really important and don’t make hasty decisions. A disorganized mind is usually a stressful one so see what needs doing that would make your life easier and set to it. Scorpio: Two great benefits come to you with the First Quarter Moon in your sign this week. Both are difficult to measure, but wonderful to experience. One will be that your spiritual life and energies enable you to be much more caring, warm, loving and accepting of others’ attitudes. While your health still needs watching, if you cut out the inessentials in your life, the second payback will be your ability to gain much rest, relaxation and general enjoyment of life. In addition, there will be a touch of graciousness in all that you do. Sagittarius: Planning ahead is necessary, in fact, vital this week. 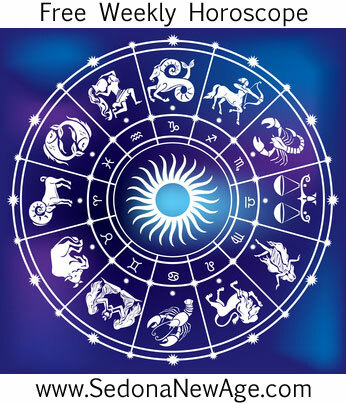 A brilliant new overseas venture/enterprise may be initiated and Mercury, your love planet in your 9th house (that represents where you can go beyond usual boundaries), signals increased social activity with an attraction to foreigners. You have had this allurement from birth, but this week it is much stronger. As a leaper into relationships kind of person, while Mercury is still retrograde, more caution is called for. On the other hand, domestic bliss or harmony at the very least will prevail. You will perform miracles of achievement in both your profession and caring for those you love under the First Quarter Moon in Scorpio, and recognition will come to you along with a heightened self-esteem. Aquarius: The planetary power is now on the day side of your chart and you are achieving your goals through your actions. You are also on a spending spree extending and improving your wardrobe, your assets, family luxuries etc which may be related to a new career push that is becoming even more important, but home and family are still very significant and a major interest. Thus, your challenge will be to have a successful career along with a successful home and family life. There are no rules for this Sometimes you swing to the career; sometimes to the home. You just have to work it out case by case and you can do it, starting this week. Pisces: You are in the mood for work because you want to, not because you have to. This makes you a more productive kind of worker so this is a good time to achieve all those boring, detailed jobs that you keep putting off. However, you may be experiencing a certain tiredness, or maybe even illness or hospitalization as a result of this dedicated work regime. Even though this brings some kind of scare, that’s all it is likely to be. Your health will need watching but there’s no disaster here, only lower than usual energy levels. Relax! Sun 01° Taurus 11' 47"
Moon 29° Scorpio 04' 00"
Mercury 05° Aries 37' 38"
Venus 01° Aries 07' 05"